Why Did the R’s Lose? Look, I’d start it off but I’m depressed. I’ll opine more later but I’m pretty ticked at the moderates–let’s just put it that way. Why did folks stay home? Hey Diebold, we won, so…fraud? Nevermind. Here’s Malkin. Thanks to CafePress for this right on the money photoshop. They have shirts with logo for sale here. GET LATEST ELECTION RESULTS HERE. DON’T HAVE AN ARK? WANT YOUR VOTE PICKED UP? CALL THEM AND THEY’LL PICK IT UP. 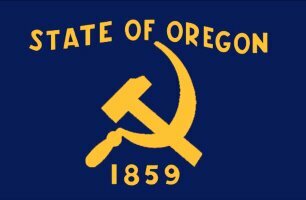 VOTE FOR CHANGE IN OREGON.